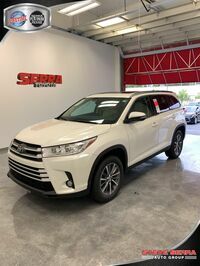 The new Toyota Highlander is back and better than ever. Since the Highlander came into production, it has been at the forefront of innovation and technology. The 2018 model year is no exception to this rule. 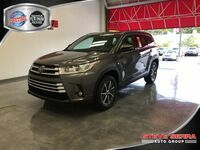 Built with decisive styling and an attention to detail unsurpassed in its segment, the 2018 Toyota Highlander is striking to behold and stunning to drive. Forward-thinking performance is mixed with innovative features to make one superior vehicle. For 2018, the Highlander adds standard Toyota Safety Sense™ P (TSS-P). This bundle of safety equipment helps to keep you alert to hazards and avoid collisions while driving. In certain circumstances where collisions are unavoidable, it can help mitigate the effects. These technologies are on the forefront of safety innovations and are now available to every driver of the 2018 Toyota Highlander. Are you wondering why you should lease a vehicle instead of buying? Leasing allows you a great many benefits. Generally, you’ll pay lower monthly payments when you lease versus when you buy. Shoppers who like to keep up to date on automotive trends do well when leasing, as leases are usually shorter commitments than buying. You don’t have to worry about trade-in value. Forget the calculation of prime trade-in time. With leasing, you just fulfill the lease term and then you can get a different vehicle. You don’t have the same amount of commitment as buying, leaving you without the worry of the depreciation curve. Leasing is a smart option for all vehicle shoppers. 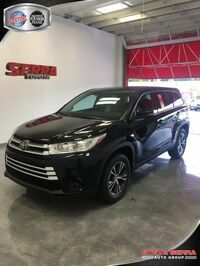 You can find more information on leasing terms and availability by contacting us at Serra Toyota. 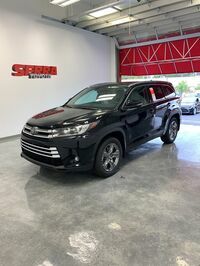 Interested in a New Toyota Highlander? 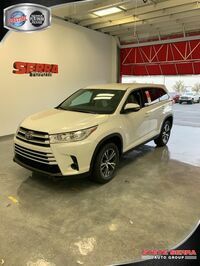 The 2018 Toyota Highlander has an available 5,000 lbs. towing capacity. 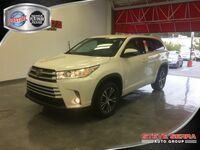 The 2018 Toyota Highlander gives you the choice of a 2.7-liter 4-cylinder engine, or a 3.5-liter V6 engine. The Toyota Safety Sense™ P (TSS-P) suite of safety technologies comes standard on all 2018 Toyota Highlander model grades. In this vehicle you’ll find available rear-seat entertainment and an available panoramic moonroof for extra comfort and enjoyment. Standard features on this model include Entune™ Audio and a 4.2-inch color LCD multi-information display, plus much more! The new 2018 Toyota Highlander can seat up to eight people and provides comfort for all passengers.